The system pounding neighborhoods in and around the burn scars of the October fires has raised a red alert for firefighters and local leaders. The primary concern? Flooding and mudslides. Sam Brock reports. 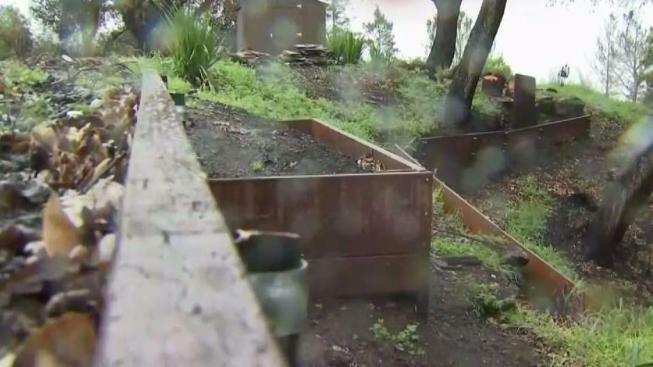 Officials in Santa Rosa are more concerned about how quickly the rain comes than how much. "Even though we're expecting up to four inches, the totals aren't the concern -- it's the rainfall rates and the intensity," Santa Rosa Assistant Fire Marshall Paul Lowenthal said. "Especially in the burn areas." 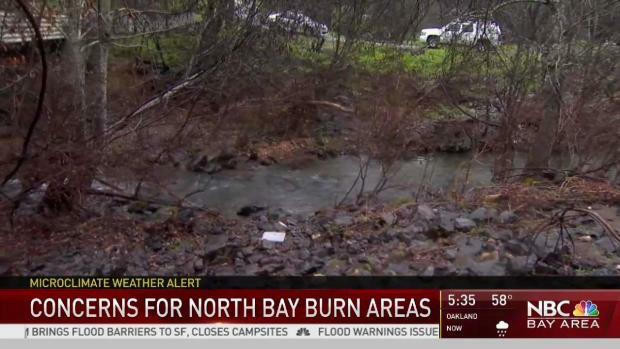 The area's wildfires in October caused the ground to not be able to absorb water at the same rate. Sonoma and Napa County's Office of Emergency Services are also worried about potential mudslides and flooding. Authorities are encouraging North Bay residents to check if their area is at risk of flooding at SonomaRecovers.org. Alberto Lana lost his home in the fire and has been surveying the landscape ahead of this week's storm. "The one fortunate thing is you see a lot of grass and that probably helps a lot," Lana said. 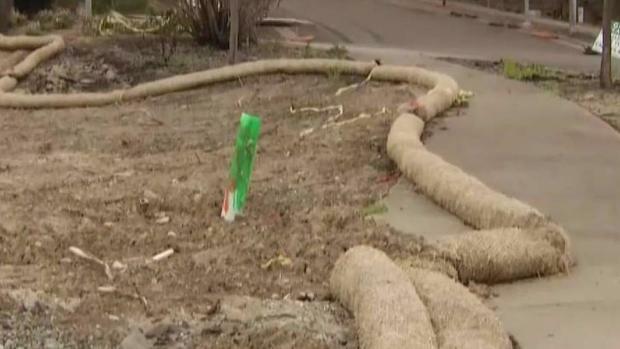 Fire department spokesman Paul Lowenthal said workers have been monitoring hundreds of storm drain inlets, especially the ones protecting the neighborhoods destroyed by the fires. Storm moving across the Bay Area prompts a flood watch for the North Bay and Santa Cruz Mountains. Anser Hassan reports. For months, Santa Rosa fire officials said they have been prepping the burn areas for storms. Crews spent Thursday cleaning debris and sediment from some 300 storm drains. While previous storms have largely fizzled out, officials fear this coming storm could be the real deal. San Francisco is already seeing at least one inch of rain, but it could up to at least three inches in the next 24 hours. Officials are also closely watching the Oroville Spillway which could see the highest inflows of the season. California officials say they hope to avoid using the main spillway but are confident it can safely function if needed. "It's a big storm, it's a warm storm," said Erin Mellon, a spokeswoman for the Department of Water Resources. "Obviously we have plenty of flood capacity within the lake considering it's still 110 feet (34 meters) below the top of the reservoir." 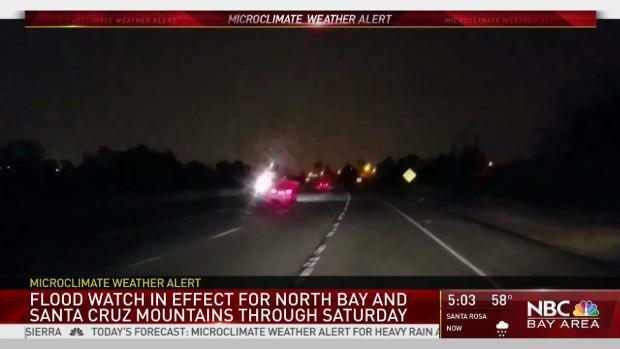 A flood watch is in effect through Saturday morning for the North Bay and Santa Cruz Mountains, weather officials said. View full weather alerts here. The incoming storm has Wine Country on alert. Jeff Ranieri and Cheryl Hurd report.